Hollywood Tattoo Shop | Voted Best Los Angeles Studio – Hollywood Tattoo Shop is voted #1 in Los Angeles County! Get your dream Electric Tattoo & Body Piercing in Hollywood, CA. Winner of 2014 Small Business Award! Welcome to one of the best tattoo shops in Hollywood! Hollywood Tattoo inside Studio City Tattoo & Body Piercing has been providing quality timeless tattoo, piercing & body jewelry to Hollywood since 1992. In a city with many great tattoo artists, we’re proud to be one of Hollywood’s top tattoo parlors. We love what we do and are passionate about doing the best we can for you. We have a modern facility using state-of-the-art sterilization procedures and autoclaves to ensure the safest methods. All artists are CAL-OSHA certified annually in the latest blood-borne pathogen standards for handling equipment, & using anti-cross contamination techniques. Both shop and artists are licensed by the Los Angeles County Health Department. All Needles, Tubes and Inks are all new per customer, used one time and thrown away responsibly. 100% disposable! 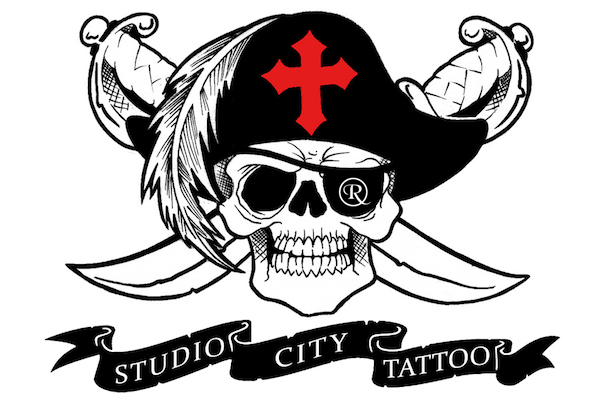 If you’re looking for quality Electric tattooing and body piercing, then Hollywood Tattoos by Studio City Tattoo is the place for you! We love what we do! Studio City Tattoo & Body Piercing Parlor is consistently voted number one #1 tattoo shop in Los Angeles County, California with over 800 reviews and a 5-star rating from Yelp. ALL SALES ARE FINAL NO RETURNS OR EXCHANGES .